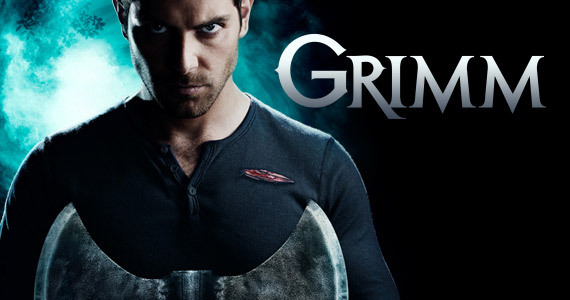 Grimm has just reached its end and it definitely ended with a bang as it took fans and viewers of the show for an emotional rollercoaster ride with all that has transpired. 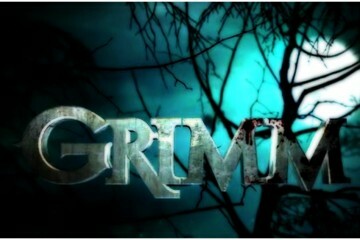 Grimm TV Fanatic Round Table panellists Doug Wolfe, Robin Harry and Kathleen Wiedel discuss the events that have transpired on the show, especially in its finale, Cry Havoc. Pick one of the deaths in this episode and discuss its significance for the series. Doug: I’d have to go with Juliette’s death. It made sense that Trubel was the one to take her down and not Nick. Even though Nick had given the command to do so, it would have been too large a leap for him to do the deed. Still, I’m more than glad it’s done. She was just too far caught up in her new powers to be able to live. Plus, her character has never been a good fit for the series from the start. Robin: I’ll go with Kenneth since I’m the only one who liked having him around! I quite enjoyed his bravado and cockiness, but he clearly wasn’t going to live through the series. The second I heard the precinct detectives describing “Jack the Ripper”, I knew that they’d frame Kenneth for the murders. Kenneth was by no means innocent and no one really cares if he takes the fall for Renard’s murders, but are the victims getting actual justice? 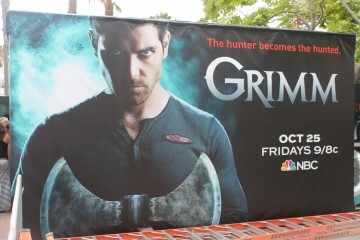 In a season full of questionable ethical decisions on Team Grimm’s part, this was just another one. Kathleen: Since no one’s mentioned King Freddy, I’ll talk about him! His death will likely cause seismic disturbances throughout not only his family, but the other six Royal Families, as well. While Viktor (Frederick’s heir) may decide to leave Portland well enough alone, this may be the cue for other Families to start poking their noses into what had previously been the business of Renard’s Family. They’ve lost four prominent members of the Family in the past few years, including the King himself (and Viktor is sterile! ), and if that’s not a sign of weakness, I don’t know what is. Were you surprised when Meisner showed up, and where do you think he and Diana will go from there? Doug: I didn’t expect Meisner at all, so yes his appearance was a complete and welcome surprise. The shot of the helicopter banking and turning back just leaves all kinds of questions now. I’m guessing he’ll contact Nick and ask for instructions on what to do with Diana. Robin: I was completely surprised to see Meisner; I had all but forgotten about him. I also didn’t notice the helicopter turning back to head to Portland. My guess is he’ll reunite Diana with Adalind, since they had all bonded in the forest when Diana was born. Kathleen: I was gleefully surprised at Meisner’s return. He was a popular character from his time running around the woods with Adalind and Diana, and it seems fitting that he made such an epic return to rescue the little girl he helped bring into the world. If he’s smart, he will take Diana and disappear; that way, no one will know where to find her! What do you think is going on at the very end, when Agent Chavez suddenly appears and sends in minions to get Trubel? Doug: In Grimm Season 4 Episode 3 (“Last Fight”) Chavez asked Trubel to join a clandestine group who were doing the same things Trubel’s been doing. I don’t recall that Trubel ever gave her a reply, so the guess here is that Chavez is finally here to collect. What Chavez doesn’t know is that Nick is also a Grimm (if you’ll recall she oncewoged in front of him when he’d lost his powers), so it’ll be really interesting to see how this goes. Robin: My thoughts are that Trubel was probably ended up working with Chavez during her absence from Team Grimm, but she went rogue to return to Portland when Monroe called her. Chavez probably didn’t take too kindly to that. Adalind plays a small but critical role in the episode. What role do you see her playing in Grimm Season 5? Doug: I guess she’s lost the bulk of her powers so now she’ll have to figure out how to be an almost-normal person. She’s been down that road before, so it shouldn’t be too much of a stretch. I think she’ll get reunited with Diana and her motherly instincts will take precedent over any other ambitions. Maybe we’ll all grow to like her. Robin: There’s been a definite effort on the writers’ part to make Adalind likeable and sympathetic over the past season, and I think it’s been working. There’s also the fact that she’ll be a mother of two next season, and she has to raise her children with Nick and Renard playing a role. Not to mention one of the children is a Royal heiress. My guess is she’ll become a more integrated part of their team. Kathleen: I definitely agree with Robin in that there’s been a significant shift in Adalind’s character, mostly over the back half of this season. Early on this season, she was a pretty pathetic sight (which I remarked on multiple times in my reviews), but lately she’s become a much stronger, more motivated, and definitely less selfish character. Whether it’ll stick or not, I don’t know, but New Adalind actually has a chance of becoming part of the team, which is not something I would have expected at the start of this season. Highlight a particular scene or quote that you enjoyed. Doug: When Trubel asked Nick what do with Juliette if they find her, he turned around and said “kill her!” That to me was the highlight of the episode. We knew then Juliette’s time was up. Robin: I could not stop laughing at Renard’s quip after framing Kenneth about not being able to thank him for his help. Also, Wu’s Indiana Jones moment with the shotgun was hilarious. Kathleen: Freddy’s thought that he’s made his escape and that nothing will stop him from returning to Europe with his adorable little granddaughter in tow. Then, BAM! Suddenly, he gets shoved out of the helicopter and has about three seconds to contemplate his impending death. All the while, darling little Diana is beaming like a sweet little angel. “Down with the king,” indeed, Meisner! What, if anything, did you not like about this episode or you felt didn’t work? Doug: I enjoyed the whole episode and couldn’t find a thing about it that I didn’t like. Robin: I have no complaints about the episode. I wouldn’t have minded knowing a bit more about why Juliette didn’t get on that chopper. They had been showing glimpses of remorse – was that what drove her back home? Did she come back to kill Nick? Did she come back to be killed by Nick? That said, I’m kinda just glad she’s dead. Kathleen: Overall, I absolutely loved this episode. After some uneven storytelling this season, “Cry Havoc” proved to be an amazing ending.